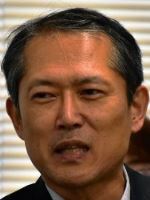 Sukehiro Hasegawa served as the Special Representative of the Secretary-General of the United Nations for Timor-Leste and head of peacekeeping and peacebuilding missions, UNMISET, UNOTIL and UNMIT from May 2004 to September 2006. He spent 37 years with the United Nations. His assignments included UN Resident Coordinator in the South Pacific, Rwanda and Timor-Leste as well as Deputy Assistant Administrator and Deputy Regional Director for Asia and the Pacific at UNDP in New York and Deputy Executive Coordinator of the UN Volunteers Programme. He is currently the President of the Global Peacebuilding Association of Japan, Executive Director for Academic Exchange of the UN Association of Japan, Director of the ACUNS (Academic Council on the United Nations System) Liaison Office in Tokyo, the Chair of the Hiroshima Peacebuilders Center (HPC) Council and the Personal Advisor to former President and Prime Minister José Ramos-Horta of Timor-Leste. He holds a BA from University of Michigan, a MA from the International Christian University of Tokyo, and a PhD from Washington University in St. Louis, USA. Mio Sato has been working with the International Organization for Migration (IOM) Tokyo since October 2016. She has worked in IOM offices in Kenya, Belgium, Indonesia, Iraq (based in Jordan) and Afghanistan since 2001. Prior to joining IOM, she worked with the Consulate General of Japan in Los Angeles and the Japan Institute of International Affairs (JIIA). She also worked at the Japan Platform (JPF) Secretariat in 2005 and she took a position of Programme Advisor at the PKO secretariat of the Cabinet Office, Government of Japan in 2011. She graduated from International Christian University (B.A in Liberal Arts, 1992) in Tokyo, Japan and did post-graduate studies at Graduate School of Public Administration, International Christian University (M.A in Public Affairs, 1997). 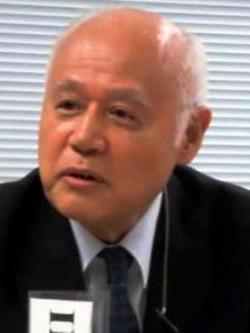 Yoshitaka Hanada was born in Hokkaido and graduated from Tokyo University Faculty of Law. Since he joined the Ministry of Foreign Affairs of Japan, he has served as Minister, Embassy of Japan in Switzerland, Consul General of Japan in Frankfurt, Germany and Ambassador Extraordinary and Plenipotentiary of Japan to Timor-Leste. He was most recently Professor of Global Security Center, National Defense Academy, Japan. 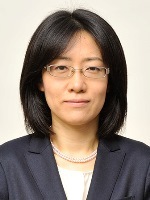 Ai Kihara-Hunt is currently Associate Professor, Graduate Program on Human Security, the University of Tokyo, since January 2017. She also serves as Deputy Director, Research Center for Sustainable Peace at her university. She was member of the UN Police Doctrinal Development Group, Department of Peacekeeping Operations of the United Nations in 2016. She has obtained a PhD from the University of Essex with her research on individual criminal accountability of UN police personnel, under the supervision by Prof. Françoise Hampson. 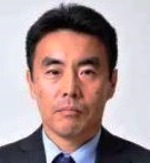 Katsumi Ishizuka is professor in the Department of International Business Management at Kyoei University, Japan. He got a PhD at Keele University, England, in 2000. His research interests include UN peacekeeping operations and peace-building. He wrote several books including The History of Peace-building in East Timor (New Delhi: Cambridge University Press India, 2010). 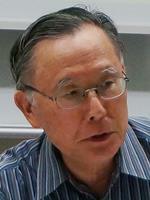 Takaaki Mizuno, born in 1958, is currently professor of Kanda University of International Studies. He joined daily the Asahi Shimbun, and based as its bureau chief in Hanoi, Vietnam from 1992~1994 and its correspondent in Washington D.C. during the Clinton years. After spending time as a visiting scholar at the East-West Center in Honolulu, and at the Chinese Institute of Contemporary International Relations in Beijing in 2003, he was New York bureau chief to cover the UN before becoming a member of the editorial board of the paper in 2007. He graduated from the University of Tokyo, and later gained M.A. from the Paul Nitze School of Advanced International Relations of the Johns Hopkins University. 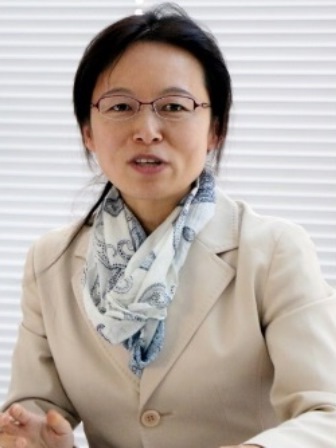 Naoko Kumagai is associate professor at the International University of Japan, where she teaches international politics, international organization, and conflict resolution. She earned a Ph.D. in political science at the Graduate Center of the City University of New York.She has been working on the issue of comfort women from the perspectives of politics and morality. In her current research on reconciliation, she compares the Asian Women’s Fund, the Japanese government-initiated moral atonement project for former comfort women, and the German Fund of Remembrance, Responsibility, and Future, for moral compensation for East European slave and forced laborers under the Nazi era. She published a book, Ianfu Mondai (The Issue of Comfort Women), in 2014. 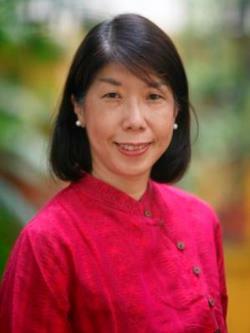 Tadanori INOMATA, Strategic Advisor of Nagasaki University’s Center for International Collaborative Research and Visiting Professor of the Institute for the Advanced Study of Sustainability. During his public service from 1966 to 2015, he served as Ambassador of Japan to Costa Rica, Consul-General at Montreal, Professor of transnational relations at Kobe University, Japan as well as Independent Inspector of the Joint Inspection Unit of the United Nations System and Member of the Advisory Committee on Administrative and Budgetary Questions (ACABQ) of the United Nations. He also worked for the secretariats of IEA/OECD and UNCTAD. 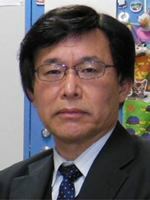 Satoru Kurosawa is Professor of Faculty of International Studies of Kyoritsu Women’s University since 2012.009-2012: Resident Representative of Balkan Office of the Japan International Cooperation Agency(JICA)in Belgrade (2009-2012), Director, Public Policy Department, JICA (2008-2009), Sector Strategy Department, Japan Bank for International Cooperation(,2006-2008), Middle East Department, JICA(2004-2006), Senior Development Adviser, UNHCR Headquarters Geneva (2001-2004), Research Institute, Planning Department, JICA(1991-2001), Programme Adviser, UNDP New York(1988-1991), Planning Department, JICA(1986-1988), Embassy of Japan in Bolivia(1986-1988), Aid Policy Division of Ministry of Foreign Affairs (1983-1986), Agricultural Planning Department, JICA(1980-1983). 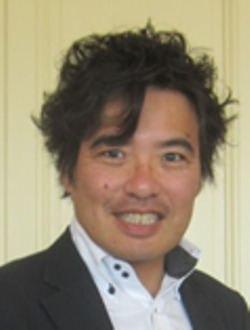 Masakuni Tanimoto is a Executive Director of World Federalist Movement of Japan as well as a Secretariat of Japanese Parliamentary Committee for the World federation. He has obtained a degree (Social Sciences) from National Institution for Academic Degrees after learning at multiple universities. Launching a business when he was a university student, he stays in the current post after serving as a president of a consolidated subsidiary of a major public relations agency and the like. Through his career building, he has been involved in enlightenment activities for disseminating UN philosophy, organization of meetings regarding UN reform and policy proposal to the Japanese government. Ken Inoue is Senior Advisor on Democratic Governance of Japan International Cooperation Agency (JICA). He served various the UN Peacekeeping operations as Director of Democratic Governance Support Unit of UNMIT (Timor-Leste), Municipal Administrator of UNMIK (Kosovo), Regional Humanitarian Affairs Officer of UNOSOM II (Somalia), and Deputy Provincial Director of UNTAC (Cambodia). He also worked with Asian Productivity Organization in Tokyo, UN Volunteers in Geneva and Bonn, UN Cambodian Humanitarian Assistance Programme in Bangkok, UNDP in Trinidad & Tobago and World Bank in Washington DC. He is also Member of UNITAR Advisory Board on PKO Training Programme and Supporting Member of Amnesty International Japan. He graduated from Waseda University (Political Science) and IDS, Sussex University (Development Studies). 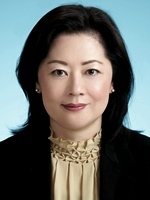 Setsuko Yamazaki has over three decades of development and management experience in the UN. Her prior career has included finance and budget, strategic planning and risk management, policy advice and program management, and transformation strategy, ensuring results-based management, transparency, and accountability. She held leadership and management positions in UNDP Offices in Cambodia, Vietnam, Lao PDR and China. At the UN Volunteers Programme HQ in Bonn, she promoted volunteer programmes as Chief, Asia/Pacific/Europe/CIS Region. She started her career at the Bureau for Finance & Administration, UNDP HQ in New York, following an assignment in the Philippines. She joined the UN with prior experience in international banking. Currently she is a specially-appointed professor at the Graduate School of Advanced Integrated Studies in Human Survivability, Kyoto University.